Back from this morning's inaugural launch of the KLM service between Manston and Amsterdam and I'm reminded of the similar excitement that surrounded the launch of EU Jet, some years ago and which you will probably find in the Thanet Life archives. One unscheduled moment of comedy this morning, when a UKIP candidate for KCC turned-up, rosette and all for some kind of misguided political publicity opportunity and was firmly told where to go, as there is a time and a place for everything and a month before the county elections. 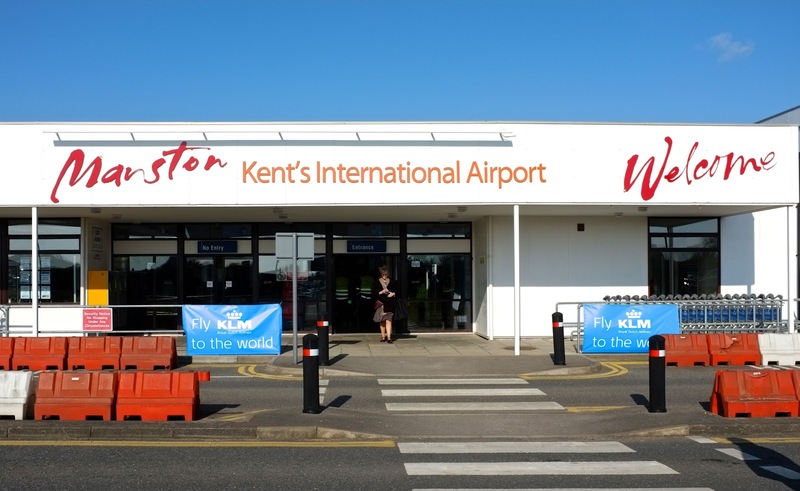 An important day for Manston and this time, we have a major carrier behind a daily service to one of Europe's largest international hub airports. Beyond the attraction of day trips to Amsterdam, there's the added benefit of Schipol as a springboard for scheduled flights to the rest of the world. I chatted with BBC Radio Kent earlier and heard that Council Leader, Clive Hart, had declined to be interviewed, citing the County Council election 'Purdah' period of political blackout as a reason for such uncharacteristic reticence. But hold on a moment. 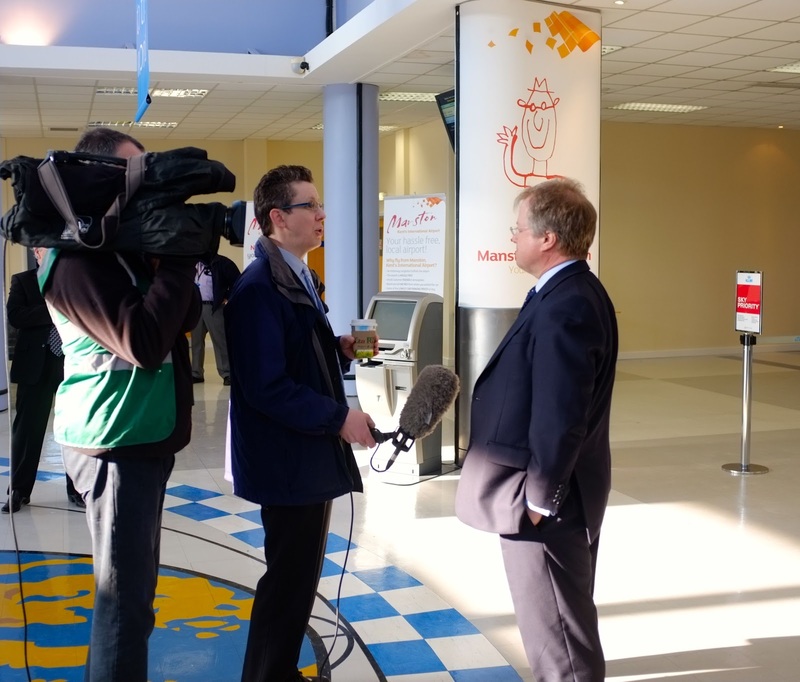 I also had a chat with Sir Roger Gale and then, KCC's leader Paul Carter, who 'had' been interviewed and as Clive isn't a candidate, quite why he had ducked-out of an interview opportunity to lend his public support to Manston, remains a little unclear. It does however appear very convenient to any passing cynic, that today's event falls neatly into the start of the pre-election period. But even the most talented master of hypocrisy might have been able to stand up and announce that Thanet's Labour administration, still basking in the reflected glow of its equalities and diversity report really does support any opportunity to develop Manston in contrast to using every opportunity to make life awkward for Infratil. So Clive, having failed to welcome the return of the Search and Rescue service last week, looks to be adding one more political cop-out, in a long and distinguished series of evasive maneuvers around the subject of Manston's future. If democratic localism existed in the real sense, then everyone in Thanet might have a say rather, than the agenda being completely hijacked by the 'No Night Flights' campaign. People in Thanet need jobs and opportunity and the airport is one of the biggest potential employment cards we have left to play. 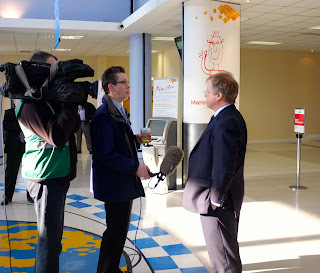 Not appearing on the BBC to lend any words of encouragement and support whatsoever, sends a very strong message from the Labour Group that Manston remains a political embarrassment that Clive Hart's transparent and diversity conscious colleagues would rather not talk about on camera or the radio. 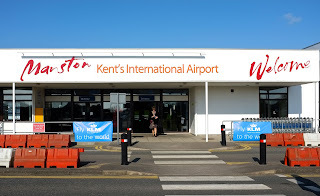 So please allow me, as a Thanet resident on behalf of many readers who feel the same way as I do, to welcome the KLM service to Manston and wish the company every success in developing it further; that's of course as long as it doesn't come and go after dark! With you all the way on this, Simon, and sincerely hope that KLM can succeed where others have failed. As you say, KLM are a big player and this service offers more than a short haul shopping trip to a one off destination. Add the new S & R helicopters and things are looking up for Manston. I do not doubt the anti-Manston fraternity will raise the usual objections, but to have the leader of our local council failing to give these events so much as a mention is shameful. It would seem a couple of seats in Ramsgate are more important to Labour than the good of Thanet as a whole. I wonder Simon, when you ascribed "Transparency" to diversity conscious cllrs, you experienced a slight foreboding ? I refer, as you would expect, to the IRA supportive stance of the Socialist Worker Party. It must be 15 years or so ago now, that I printed up some information appeal leaflets and invited myself to a Thanet SWP meeting in Margate. Jolly polite chaps they were. But not forthcoming with help investigating the activity of a certain militant Thanet trades unionist. The trades unionist had a mate. A tory cllr. Very ecumenical. Good luck Manston. I suppose the council leader is afraid to go Dutch. I expect that he is claiming purdah in the hope that most people will not understand the expression in relation to elections, or is it that he doesn't understand it either? What a pity the Manston MD has got his hand in his pocket. Good news for Thanet and hopefully local people will support the airline, To be fair, I haven't actually heard anyone who's against it! At last a couple of ideas that make sense. Manston as a feeder to a well served hub, easy road access and hopefully not exorbitant parking charges. It also avoids the night flight problem as that will be something the hub will have to sort out. Manston as a base for marine SAR covering the Thames estuary, Channel, wind farms, proximity to a hospital, looks like an ideal site. I'm with you Simon. 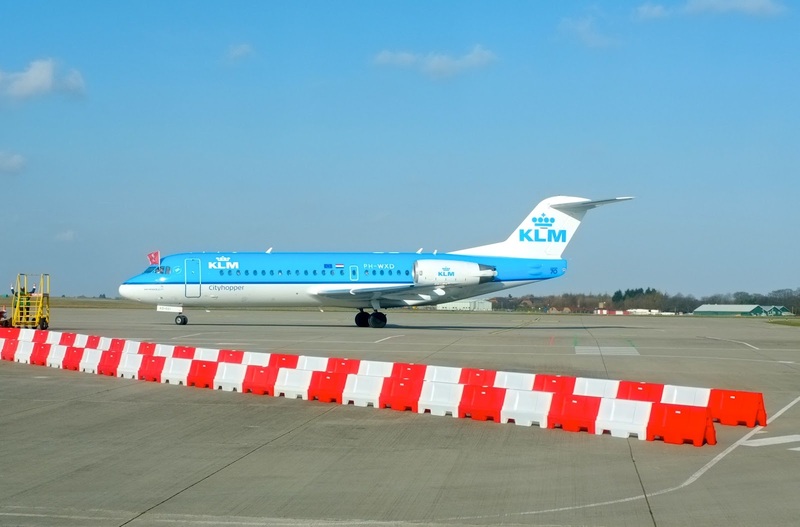 I wish KLM and Manston success. Cllr Hart's comment about purdah appears flippant and as such is a possible slur against the Muslim community. In these circumstances I find his remark offensive and request that our Thanet Diversity & Equality committee seek an apology from Cllr Hart. I thought Purdah had Indian roots but doubt that Cllr Worrow would be interested unless a discriminatory LGBT issue was revealed. That's right Simon purdah is an Urdu word. Purdah is a Hindi word and has long been used in elections and for the budget statement. No offence is intended and the word illustrates perfectly the situation regarding keeping things secret and its meaning is instantly understood when used in this context. It prevents tautology, or using ten words when one will do. Just another word borrowed from a foreign language. To be precise 'purdah' is an urdu word that is derived from the old Persian word for curtain. I am familiar with context in which 'purdah' was used by Cllr Hart. My Diversity remark was simply an attempt at humour. I might have guessed that there would be someone out there who would take me seriously; for that's the way it is these days and it's a shame. John, we are both right about Purdah, it is Hindi, Urdu and Persian, so let's not get into semantics. My remark was tongue in cheek as far as you were concerned since I fully understood the remark you were making re Cllr Hart. Sorry if you were a bit miffed. You have obviously dipped on diversity again, John, and need to go for retraining. Whatever happened to sense of humour in this country or must we all subscribe to this grey, characterless, politically correct world of Labour.